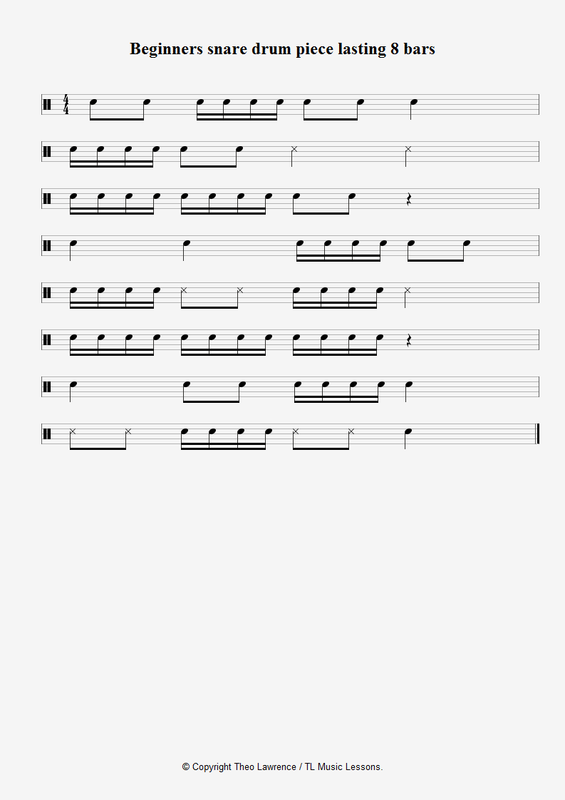 This short snare drum piece works on a few of the fundamental subdivisions and rhythms used at grade 1 level and leading up to it. The piece consists of quarter notes, 8th notes, 16th notes and quarter note rests. The performance technique of playing on the rim of the snare is also included, where the X note head is displayed instead of the usual snare.